Also, to get the most out of these instructions you should also have giosg BASKET (for monitoring shopping baskets in real time) in use. Now you should see the following pop-up in the middle of the screen when you visit a site you have set the rule to work for. Click the picture to see how it works! Click + Add new condition button to choose the condition that needs to be met to display the rule. Choose the condition that suits you best from the ”When this condition matches...” menu. In this case, choose "Visitor has visited the page more than the number" from the menu (and define the number of visits required to set this rule to action). Or if you want to use some other criteria, like what kind of device the customer is using or what is the value of the items he has added to his shopping cart, you can choose those options (and many more) from the menu as well. // You can change the title text inside the quotes! // You can change the info text inside the quotes! 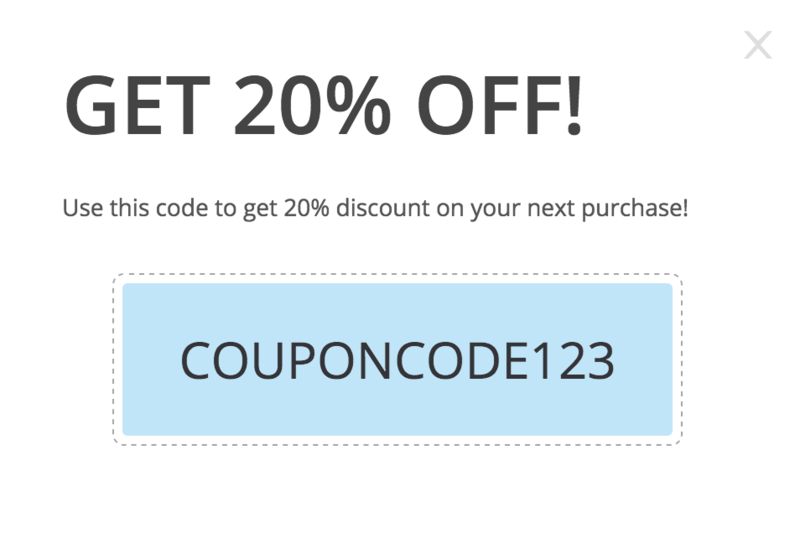 // Change the coupon code here by replacing the text inside quotes! If you want to change the text you can do it by writing over color-coded text parts. But, make sure you only modify the text between ’ and ’ marks. Otherwise the code will break. Add a name for the rule by typing it to the ”Name” field under ”Settings” menu. Also, we recommend that you display this rule only once in a session. To do that click the ”Rule can match only once in session” box under the Name field. Before moving on remember to also enable the rule by clicking the ”Enabled” option. When you have created the rule and enabled it, you can monitor the results using Rules Reporting. Click the + button to select rules to compare. You can select up to 6 rules to compare. In this case, you should select at least the rule pop-up discount code we just created. Amazing! You are on fire! Now apply the same logic to create a variation of your own coupons to use.